This wheel rig will be of particular interest to automotive OEMs, aftermarket developers, tire and wheel manufactures to help them understand ventilation drag better and test new ideas to lower aerodynamic loses. The full scale wheel rig will utilize ARC's model motion balance measurement system. This system has been design to give high levels of repeatability from test run to test run, test to test. To remove the effects of mechanical drag, multispeed weight tares and test speeds will be used. 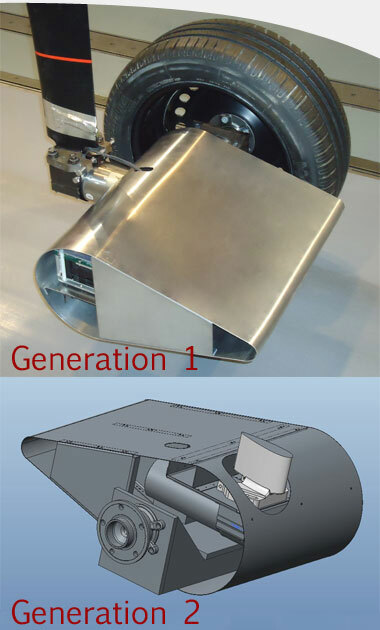 Worldwide Harmonized Light Vehicles Test Procedures (WLTP) will make measuring ventilation drag an increasing priority. These regulations require all manufactures to measure all variations on their vehicle. This, in turn, will drive the industry to find other places to help qualify gains being made on vehicle efficiency.